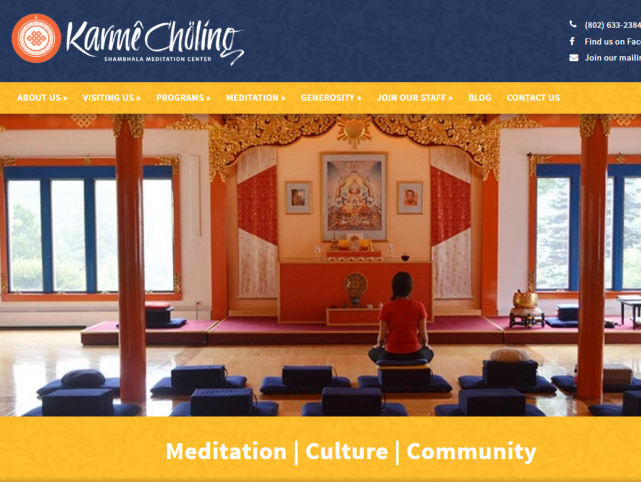 Karmê Chöling is one of the oldest Tibetan Buddhist retreat centers in the United States. Their website was largely built and maintained by volunteer staff, and had gone significantly out of date. In addition to an old design that was unattractive, non-mobile-responsive, etc., the site had no working content management system, and was far too difficult to update and extend. Karmê Chöling’s website is vastly improved, and far easier to work with. 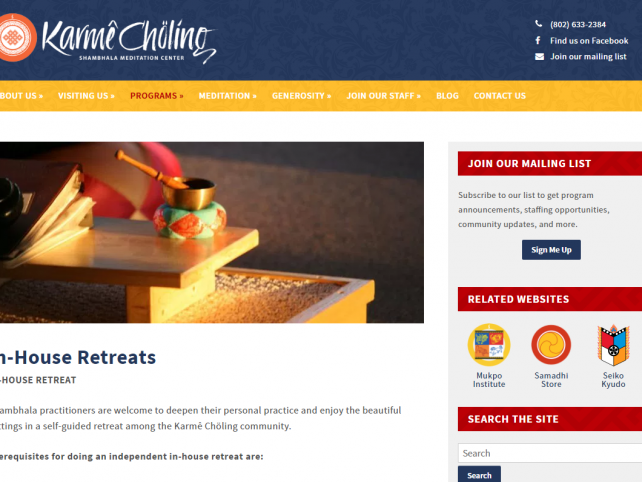 Because the new site is so much easier to work with, Karmê Chöling recently launched an on-site blog, linking their web presence with their other digital marketing. The new website looks great. Well done! I just took a quick look – Gorgeous!!! Lovely, this is so much more readable than the other and spacious. Gorgeous colors. Wow, it looks really beautiful and seems very easy to navigate! We continue to work actively with Karmê Chöling, recently completing a thorough security audit of their registration flows and database.